I just had to post about this wonderful documentary I watched last night. 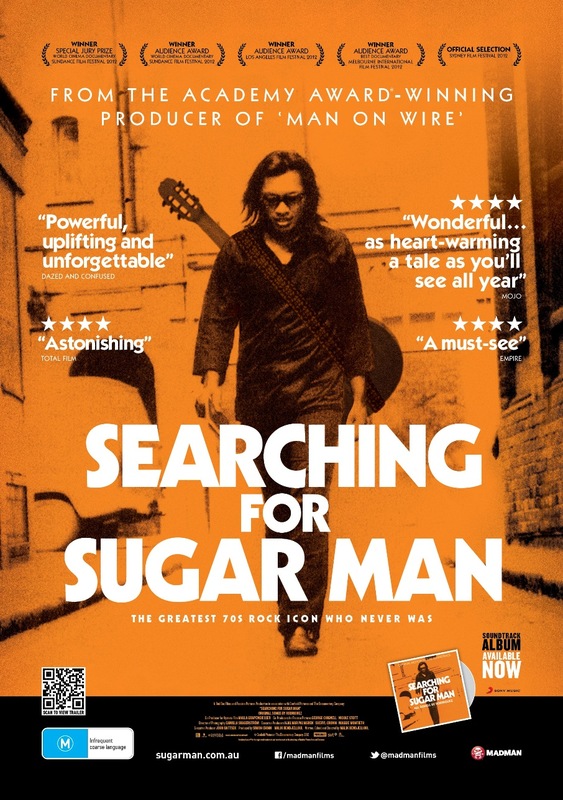 It is called Searching For Sugarman, and it is nominated for an Oscar. 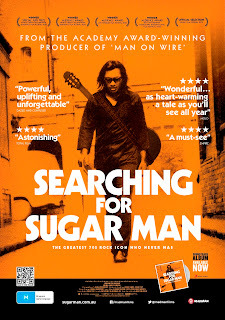 It is an incredible story about Rodriguez, an American Folk singer, who should have been a huge success in the United States. After being discovered in Detroit, and making 2 albums, which sold next to nothing in the US, he went about his life as a construction worker. The next step of the story takes you to South Africa in the middle of the fight against apartheid. No one is sure how a copy of his album, Cold Fact, reached South Africa. His music quickly became the soundtrack for the Anti-Apartheid movement. He was said to be bigger than Dylan, bigger than the Rolling Stones in South Africa. During this time Rodriguez knew nothing of this tremendous success. It was believed by South Africans that at some point Rodriguez took his own life. The rest of this documentary is a wild ride. The search is lead by two South Africans, curious to know, how Rodriguez died. Only to find what is truly an amazing story. Check it out....I swear you will love it! I watched this film a few weeks ago and posted about it as well! Fantastic story isn't it? I really love that his music resonates even today. I'm glad this film is getting 'ot there'. Cheers! It really was! I kept saying over and over..."How could he have been so overlooked?" THanks for stopping by!